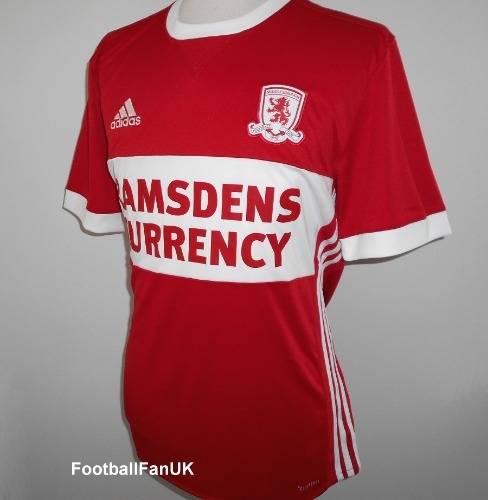 Official Adidas men's home shirt for Middlesbrough FC for the 2017/18 season. New with tags. - Red with a white chest band and trim. - Adidas product code CD0871. - Adult men's Small size. Chest 38", length 28".